The ONLY insulation SPRAY material developed and available worldwide when dealing with substrate temperatures that exceed 80°C where insulation is required prior to the application of any PFP material and which generally meant that the only insulant available currently was Foam Glass which had to be formed (segments) and applied (bonded) and led to extensive installation time when compared to a spray system. EnerTherm Ti220 is waterborne and is the safest type of product for internal use. EnerTherm Ti220 has Hygrophobic properties ideal for use as part of a system for the protection of steel against Corrosion Under Insulation (CUI). 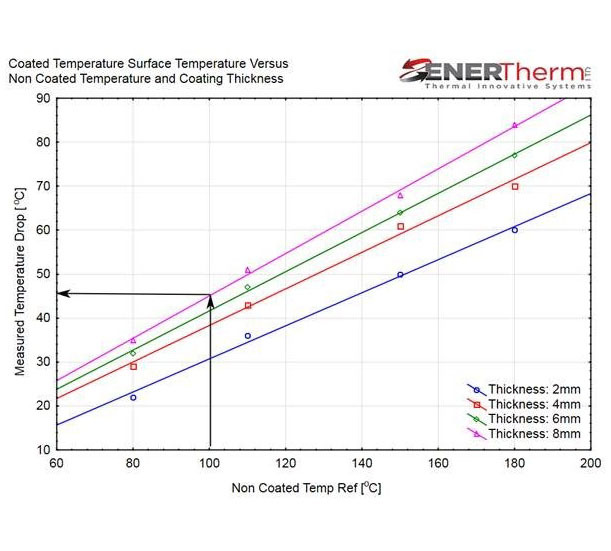 EnerTherm Ti220 is tested and approved for use with a temperature range of -180°C to +250°C (and currently under testing for higher temperatures) can also be used on cold lines and holding tanks. 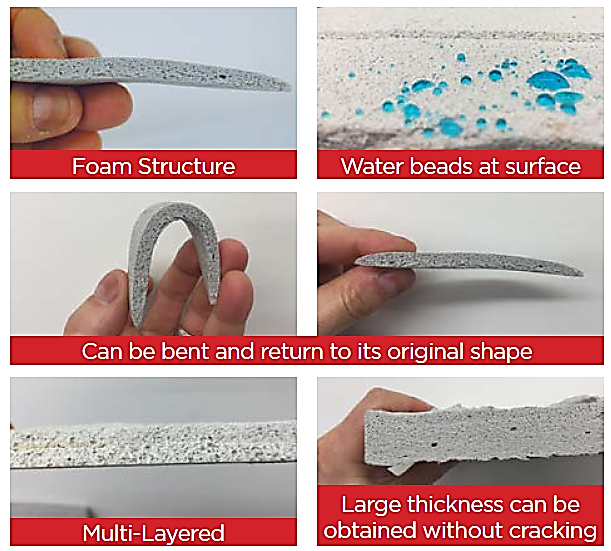 The unique spray ability of the product when compared to other materials that use the sphere technology as the insulating material and which is easily damaged during spray application that affects the SG and in turn the insulation value. a. Insulation only: a stand-alone insulation system where a top coat of a good quality Polyurethane is used for environmental protection. b. Insulation and Fire Protection: a composite system as used for fire protection where the Ti220 is coated with a fire proofing material which acts as a fire protection and top coat system. A high build, high temperature, thermally insulating coating system designed to minimise thermal transfer. Designed and manufactured by EnerTherm, Ti220 is super performance coating system creating safe touch surfaces and energy savings. Ti220 is the only fluid applied insulating coating that rises to the highest levels of performance whilst delivering multiple benefits. It is one component of a complete coating system that also includes high temperature, anti-corrosive primers and UV stable, chemically resistant topcoats. In addition Ti220 insulation is a water borne formulation with a very low ratio of volatile organic compounds making liquid insulation the ideal choice for sensitive environments. Ti220 physical characteristics such as high film build, excellent bonding and tailored particle size create an ideal combination of thermally efficient attributes. Whether reducing heat lost improve efficiency or minimising heat transfer to protect personnel from burns, liquid insulation is second to none. In side by side comparisons Ti220 insulation benefits from a combination of insulating and protective properties represent a more effective solution than virtually all other available options when applied to pipe work, vessels, process machinery and infrastructure. 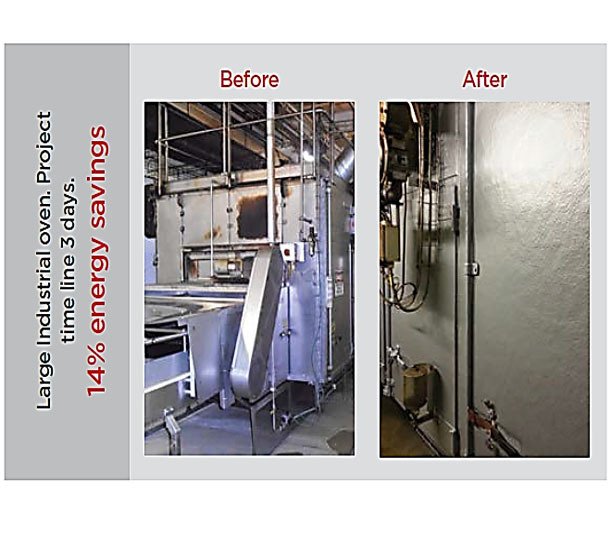 Specialist Painting Group has successfully installed this system in industrial facilities, refineries, manufacturing plants and food processing environments. As all leading businesses have become ever more focused on the impact on cost and the environment, due to the various processing demands of their products, so to has SPG. 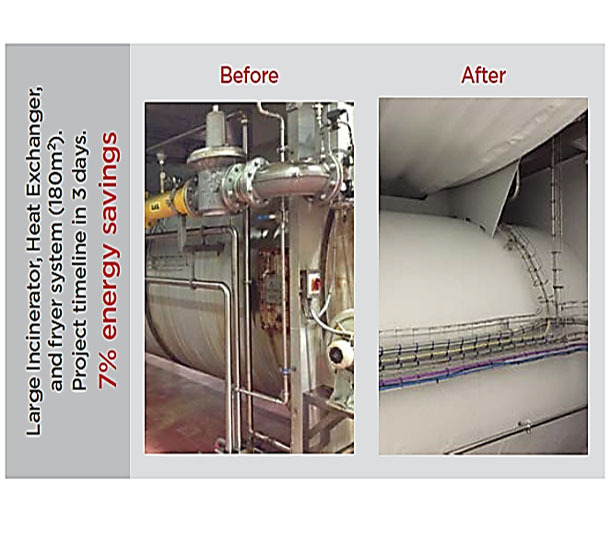 Our engineers have extensive experience in the application of this specialist product providing the licensed application of Ti220 insulation on behalf of EnerTherm who have developed the material and process for demonstrating the energy savings created by the product . EnoTherm Ti220 has Hygrophobic properties ideal for use as part of a system for the protection of steel against Corrosion Under Insulation (CUI).